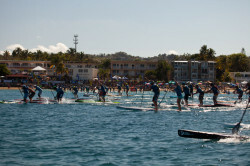 Ryan Helm has just taken out the Elite Distance Race @ the Rincon Beach Boy Classic, an event that drew plenty of big names to Puerto Rico to chase the $16,000 prize money that was on offer. The field was very solid, with Ryan coming home ahead of Chase Kosterlitz (2nd), Nick Leason (3rd), Thomas Maximus (4th), Belar Diaz (5th) and Anthony Vela (6th). Meanwhile Gail Vento was the women’s champ, finishing in front of Kym Freeman. 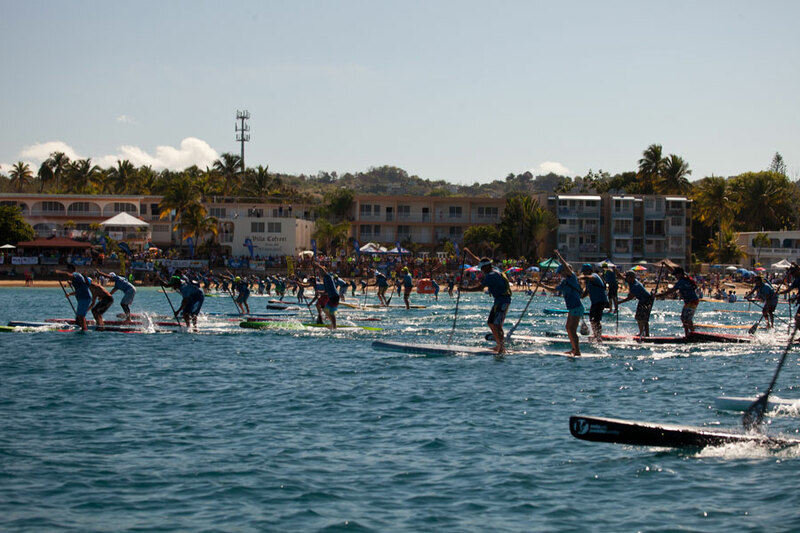 Ryan Helm has been in great form the past six months, making the Battle of the Paddle top 10, paddling strong at the Paddle Royal and then smashing the field at the recent Punta Sayulita Distance Race. The ex-Floridian, who now resides in Mexico, was paddling a brand new MHL 22 1/2″ wide race board, a design that clearly does the job. Third-place getter Nick Leason was also on an MHL, a brand that often flies under the radar but clearly produces some solid equipment.